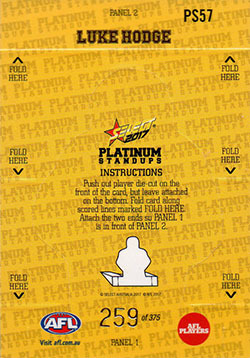 This is a limited edition numbered version of the basic popups is done in a refractor style platinum effect. 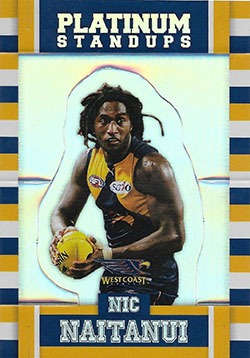 This card will divide collectors in that does it warrant being one of the high end hits of this release at 1 per box. 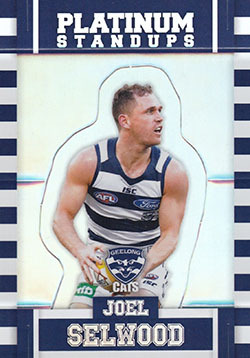 Select do however deserve to be applauded for the addition of this extra box hit. 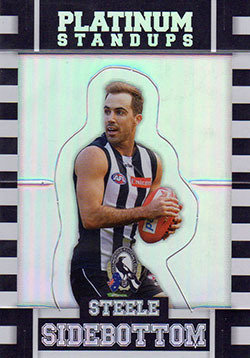 As per the regular popups this may be a long term investment for collectors as to the nature of the popup card lending itself to larger numbers of the card being damaged in the short term. 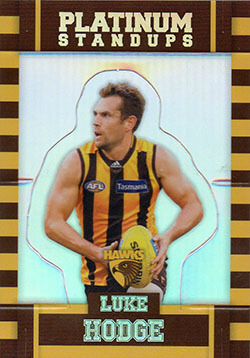 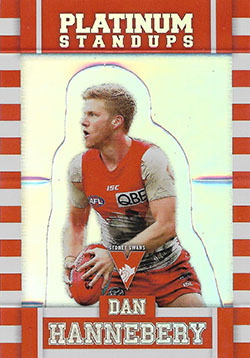 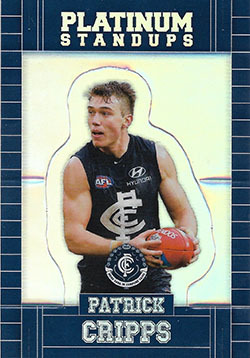 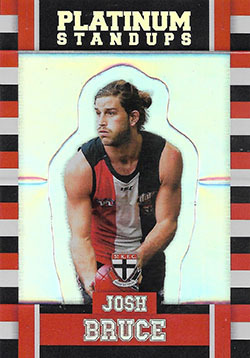 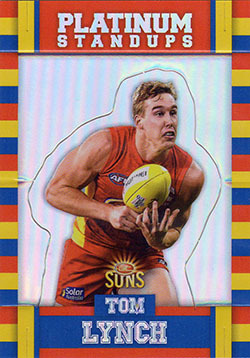 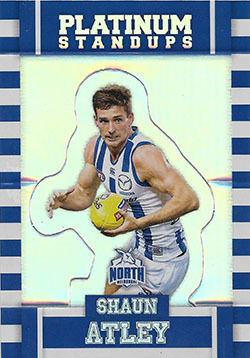 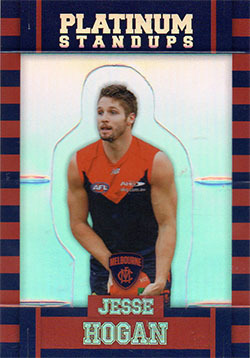 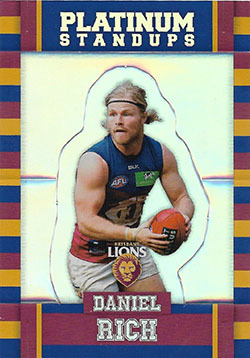 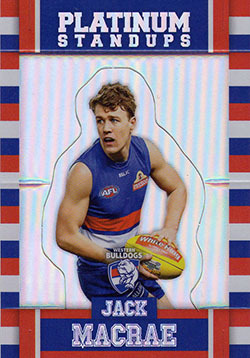 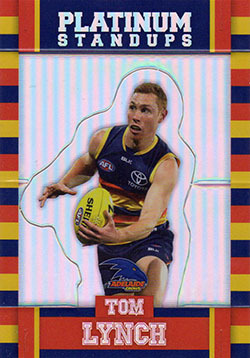 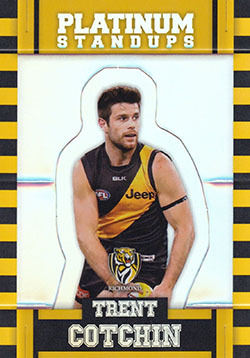 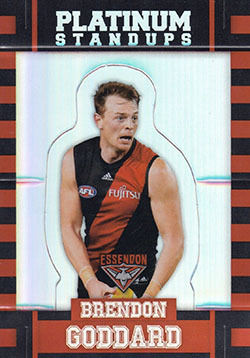 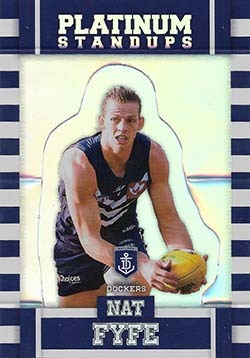 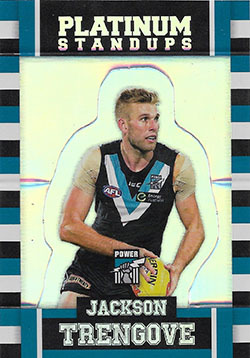 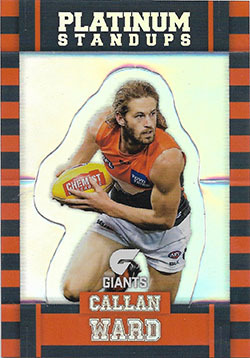 The collection once again consists of 108 cards with 6 cards for each of the 18 AFL clubs.